I hope you all are having a fantastic Monday! Today I wanted to share with you a DIY project that I created for Homedit! 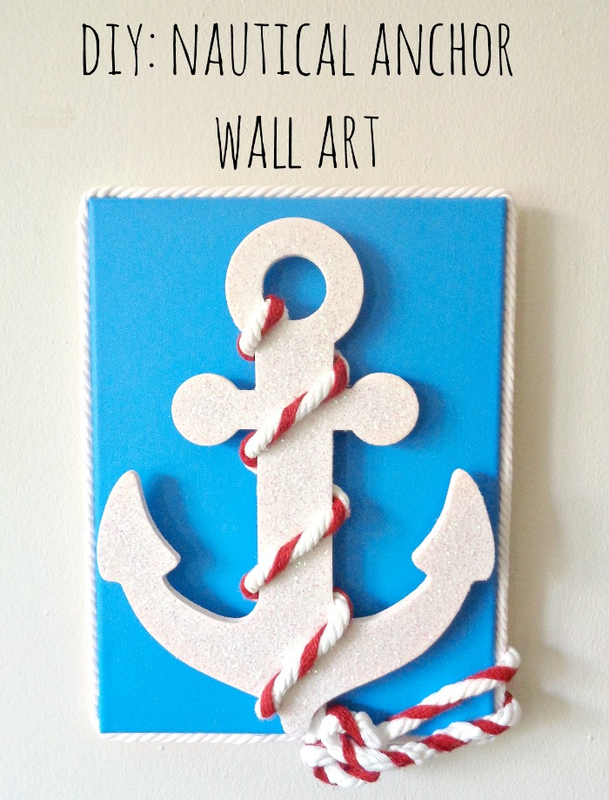 This month I contributed a fun home decor DIY called Nautical Anchor Wall Art. It's basically what it sounds like, a nautical piece of wall art which involves an anchor (lol). I know I'm not reinventing the wheel here, but I've been seeing tons of nautical theme wall art pieces at ridiculous prices! Due to this little discovery, I thought it would be fun to show you how to take some inexpensive craft supplies and turn them into a fun piece of wall art! So if you want to learn how to make your own piece of nautical wall art, you can check out the full tutorial here!